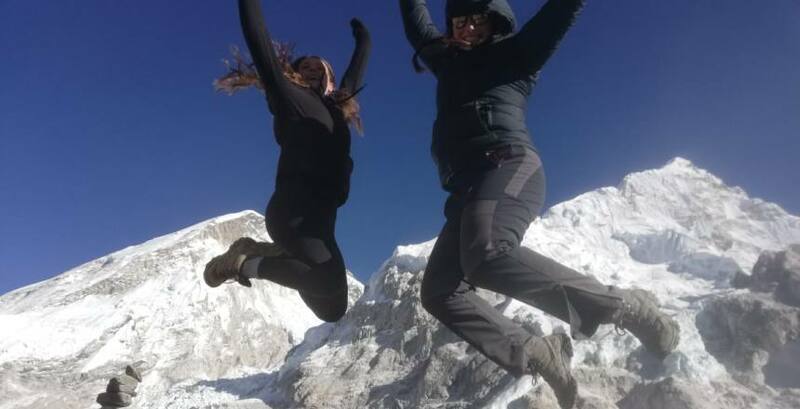 Everest Base Camp Trek is for nature lovers and the one who seeks to achieve a certain level of spirituality among themselves. This trek teaches people the true meaning of determination and patience. A lifetime adventure, this trek has all the aspects, which makes the travelers remember from the spellbinding landscapes, the unique unseen Sherpa culture, the amazing wildlife to the serenity of the monasteries. The journey of Everest passes through snow peaked mountain, hanging bridges, raging rivers, dense forests, waterfalls with lots of ascend and descends on the steep & rugged trail that makes the trail difficult. 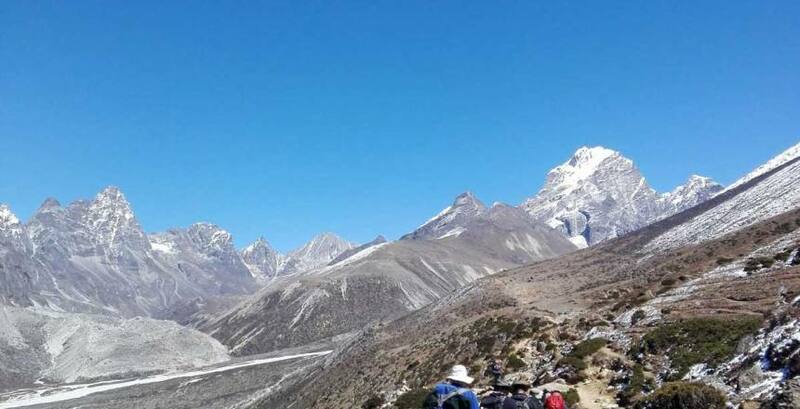 Read below to know more about the difficulty of the Everest Base Camp Trek. Spring season (March to June), the weather is favorable for trekking. This season attracts a lot of tourists, and the temperature reaches up to 25 degrees at the summer days and drops at -20 degrees at nights. Monsoon starts from July and lasts till mid-September. This time is not recommended for trekking as during this season, due to high rainfall the roads become more slippery and riskier. Autumn (September to November) is also the best time for trekking in the Everest region. During this season, the entire region bloomed up with gorgeous rhododendrons and other wildflowers. Winter begins from November to February. This season presents a very extreme cold. January is considered to be the coldest month of the year where the temperature falls and reaches to -36 degrees and can go down below to -60 degrees. Despite all the low temperature, the biggest issue faced by the mountain climbers is the hurricane, force wind, and wind chill where the force of the wind develop reaching more than 285 km/hr. Reaching to Everest Base Camp is a dream to various trekkers. There are two base camps, the northern base camp that lies in Tibet whereas the southern base camp, which is situated in Nepal. Both the base camps are used by the trekkers in order to ascend and descend where goods are carried by yaks, porters, and Sherpas. They are the means of transportation in this base camp. The trails of southern base camp are really rough, rocky and steep, which makes it a challenging for the trekkers. 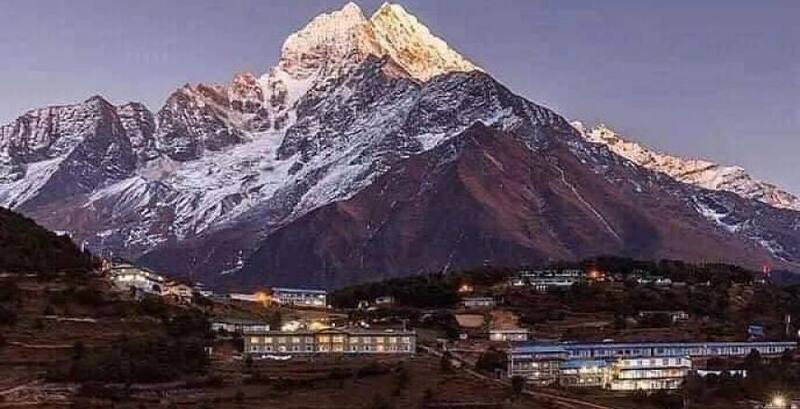 The route for the southern base camp starts from the Tenzing Hillary airport at Lukla (2,800 m), the second dangerous airport and the best air routes in the world as from flight, one is able to see stunning snow-capped Himalayan mountains such as Lhotse, Nuptse, Thamserku. Amadablam, Langtang Ri, and the Everest. It is said that difficult roads often lead to beautiful destinations, this can be sad for this trek too. The journey leads person to reach a calming state of mind, yet there are various obstacles present before reaching the destination. The difficulty level of the Everest Base Camp is moderate. The trekking time often requires two weeks. Even though the EBC Trek requires no prior trekking expertise, it is suggested that the trekker should be determined and be physically fit. Among the various hurdles of EBC, the altitude is considered to be one of the major difficulty. 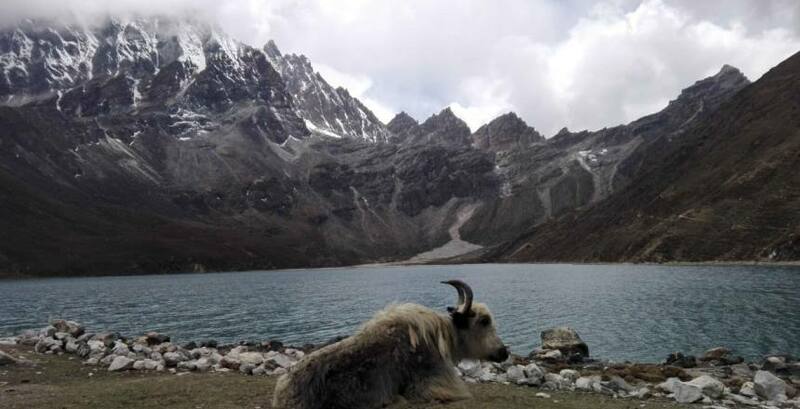 As this trek starts at the height of 3,000 meters, and the base cap is situated at the height of 5400 meters above the sea level, which is actually a great height. Therefore it is strongly recommended that if a person has any breathing problem, they should completely avoid this trek. A trekker is suggested to take proper medical advice before trekking at these heights and research altitude sickness. The distance between Lukla to the Everest Base Camp is nearly 130 kilometers only, yet some of the trekkers might find the distance being too long. The trekkers must keep in mind that even though the distance is small the trekking is on altitude and on non-paved rocky, steep, roads. For trekking, the trekkers need to be physically fit and energetic. That's why they must start practicing those exercises, which generally strengthens the leg muscles. This is necessary as the weak people may find it difficult to walk on those unpaved rocky roads and adjust in the hilly area. The weather is harsh, therefore the trekkers must take cautions and carry basic medications or first aid with them. One should always keep themselves hydrated as it reduces the chance of getting altitude sickness. Avoid alcoholic drinks as it makes you extremely dehydrated. You must invest in buying good trekking equipment like bags, shoes etc. You should always wear sunglasses as in high altitudes, as striking sun raises might cause snow blindness or other eye problems. The trekkers must not rush and must include enough acclimatization during the trek to stay away from Acute Mountain Sickness (AMS). Research thoroughly about the region before commencing the trip. 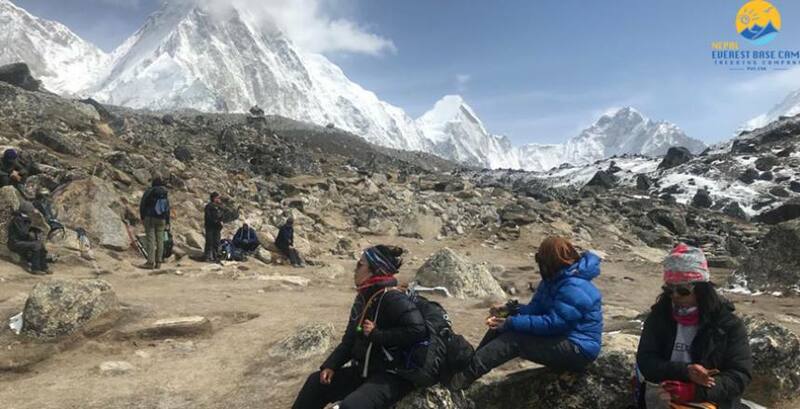 If you wish to be everest base camp without hiking you might have better options to be Kalapathhar everest base camp within one day and back to Kathmandu. The tour called Everest Base Camp helicopter. This is a day tour which is started from the capital city of everest base camp for some some hours and then flight will be back to same started point kathmandu. Everest scenic flight also one of the option of visit Mount Everest and other high mountain of Everest region. 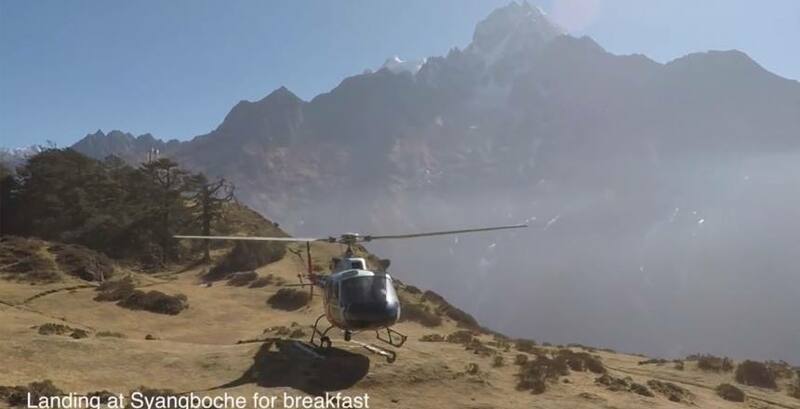 this is a scenic flight by a small plane which is fly over the everest and other mountains. which is explore mountain without any physical activities.